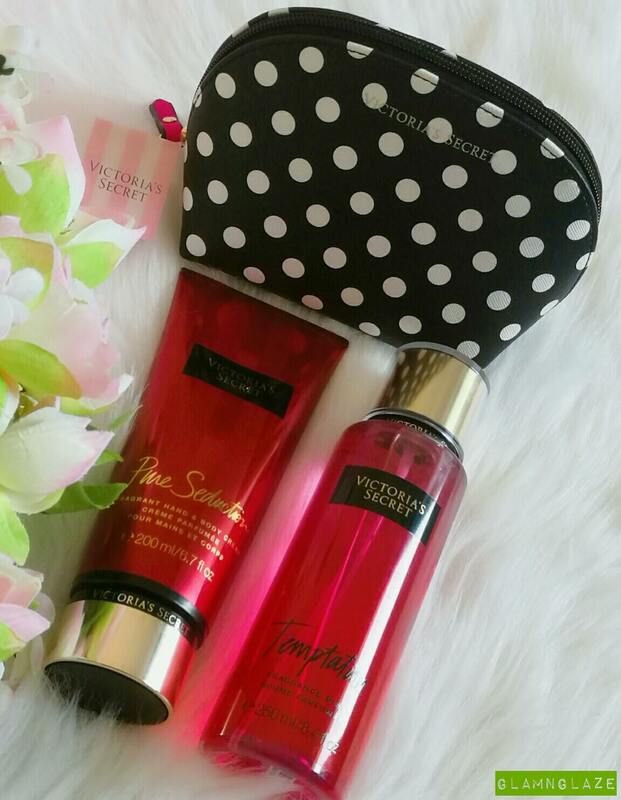 Today I am going to share with you my Victoria's Secret Haul. So,recently I had been to the Victoria's Secret store.The store was really huge and as usual posh. All the products looked amazing and chic! So,I purchased few products from the Victoria's Secret store(UAE). First product is a body cream from the Pure Seduction range.It's called Pure Seduction Fragrant Hand & Body Cream. The product comes in a tube-packaging and has a twist open lid and also,pressable cap with dispenser..
Lid is of golden colour and the tube-body is of pink-red rose colour. 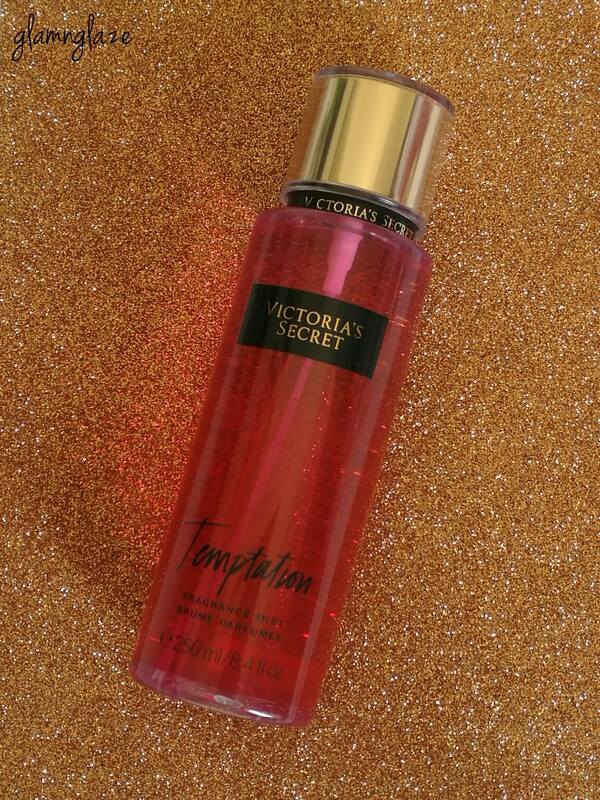 Give in to an addictive combination of juicy apple and Saguaro flower in a light mist. TIPS & TRICKS:Mix two or mix a few. No rules. Just fun! The scent of the body-mist is very floral in nature and is very feminine...I like it! Lastly,I purchased a cute polka-dotted pouch from Victoria's secret. 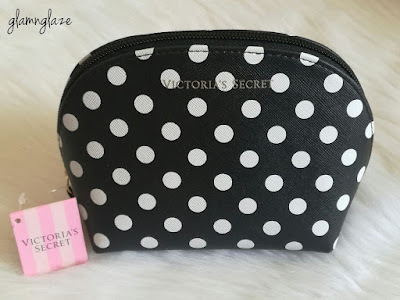 This is a really nice and sturdy medium-sized pouch.It is a black-colored pouch with white polka dots all over it.The pouch is apt for travel-purposes. It can be used for keeping make-up products etc. I like the white polka dots on the black-colored pouch.It looks really classy in my opinion. Alright,that's it for this post.Hope you liked the details shared. Please let me know if you have tried any of the products shown here,would love to know.